WaterSense is a partnership program sponsored by the U.S. Environmental Protection Agency (EPA). The WaterSense label means that the product not only meets the EPA’s criteria for efficiency and performance, but uses 20% less water (and performs as well as) regular models. Their vision is to help Americans understand the importance of water efficiency and to take actions to reduce their water use. At MR Direct, our vision is to provide stylish, super-quality WaterSense bathroom faucets at a price you’ll love. 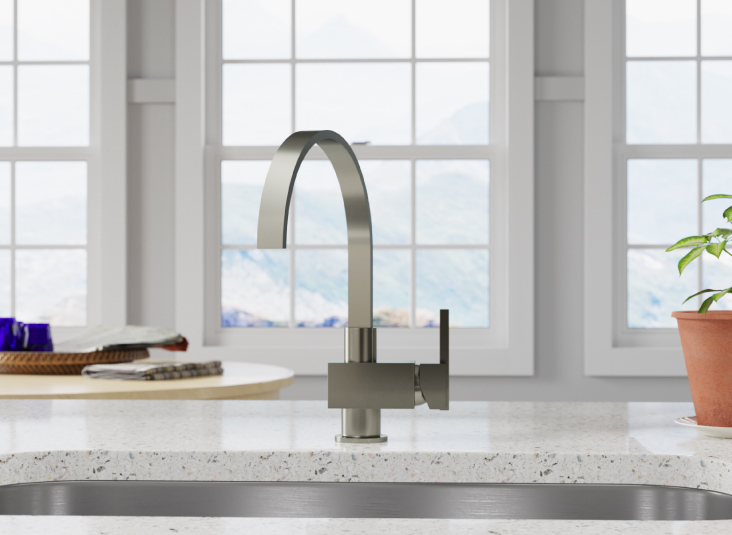 With the exception of the 728 faucet, all MR Direct standard and vessel bathroom faucets are WaterSense certified. Even though 70% of the planet is covered in water, only 1% of it is available for human use. And every drop counts. When it comes to wasting water, bathrooms are the biggest culprits! They use over 50% of all indoor water supply. Approximately 5-10% of U.S. homes have easy-to-fix leaks that waste 90 gallons of water or more a day. Using WaterSense faucets can save 700 gallons of water per year. WaterSense faucets are about 30% more efficient and still provide sufficient water flow. In 2016 alone, 534 billions of gallons of water were saved through the WaterSense program. Heavy duty: All faucets are drilled from solid brass and include copper waterways.